AUGUST: Time to toss out another pair of shoes that I haven’t worn between January and now. No excuses. While I’m in the closet debating which shoes to toss, I should grab three shirts that I haven’t worn in a loooong time. 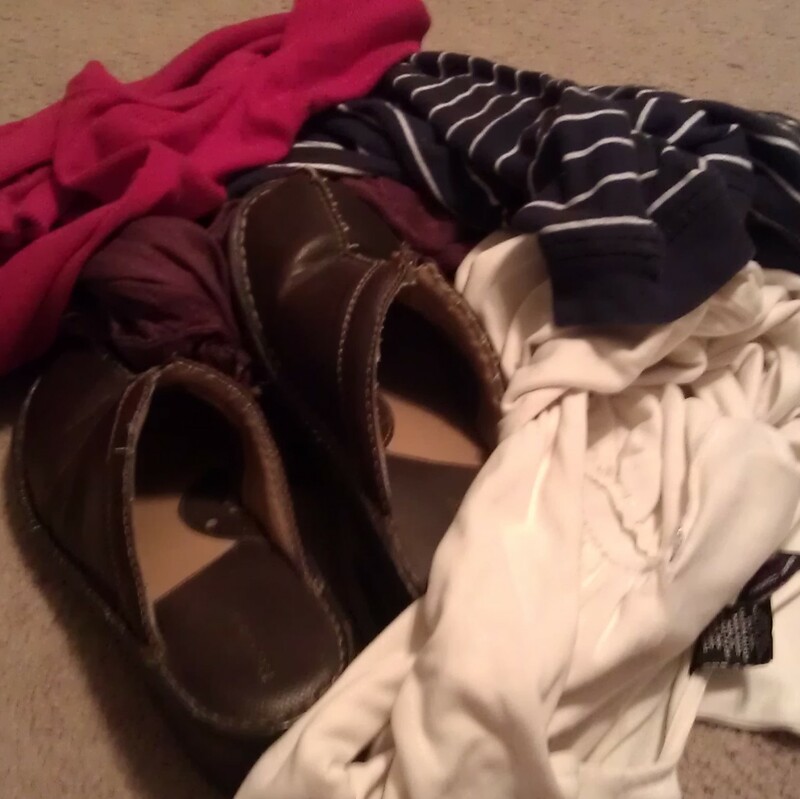 COMPLETE: I picked out FOUR shirts I haven't worn in a long time and a pair of brown slip-on shoes. I was a little sad to see the white shirt go, but it's too small for me. The blouse was my go-to "going out on the town and get crazy with my girlfriends" shirt. Good times.